HORTICULTURAL EXHIBITION – STAY SURROUNDED BY FLOWERS! 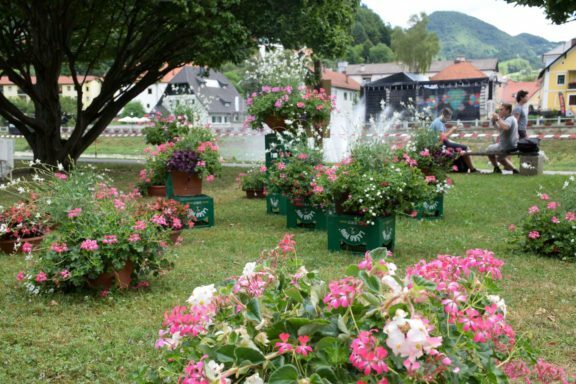 This year’s horticultural exhibition with the title “STAY SURROUNDED BY FLOWERS!” will be on display during festival days in the park in front of the Laško Cultural Centre. The exhibition will be enriched by a fountain. For arranging, setting-up and watering flowers, the Horticultural Society every year receives a lot of help from the workers of the public utility company Komunala Laško, for which the society is very grateful.